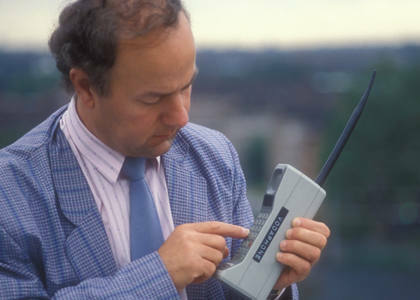 My current position at work has me at home, providing chat support for our products. So 40 hours a week, I am speaking with a customer through the accurate placement of my fingers on the keyboard, typing out my words instead of speaking them. I have three computer monitors on my machine, and there are times I wish I had a fourth. The screen to my right is a remote session into my work computer. The center screen I use to run the internet as well as our remote software into our customer's machines. On the left, that's our ticketing system (web based) as well as the chat software and a window of canned macros to save me some typing (greetings, standard case notes, etc). With the new ticket system running in Chrome, instead of on my work machine, I am constantly dragging the chat window among the three screens to do my job. This past Friday was a day like any other day, until about 11:45. I was working on two chats, trying to complete them so I could get to lunch. Suddenly, my two side screens flicker and go black. And then I sense the smell of burning plastic. The power cord is right next to me and I yank it from the wall. Grabbing my phone, I text one of the people in change about my home computer issues. Needless to say. my lunch started immediately. I was able to pop the case, vacuum it out (not that much dust), pull and reseat the video card, boot up the machine and log back into our phone system all in under 30 minutes. However, I was down to the middle monitor for the rest of the day. That was.....a challenge. Well, a visit to the computer store (Microcenter) and one inexpensive card later all my screens are back and functioning. I don't game, so I didn't need anything crazy expensive. Tomorrow should be easier at least without the two squares of black on each side of the main monitor. Rest in peace, old video card. I just couldn't take that last pR0n site, pal. The honor of the first post on the new card goes to Adam with Texas Rangers Cards. I just highlighted a PWE from him a short time back, but Adam dropped one of the conspiracy packages the past couple weeks. Within - loads of glorious junk wax. While I tend to need a lot of the more odd sets the big manufacturers released, there is plenty of their base sets from the late 80's and early 90's that I needed cardboard to add in the respective years. Let's look at each of the makers and how Adam helped me out. First up - Topps/Bowman. From all the cards sent (at least 150), nine cards went into the Sox box. A few you see above. 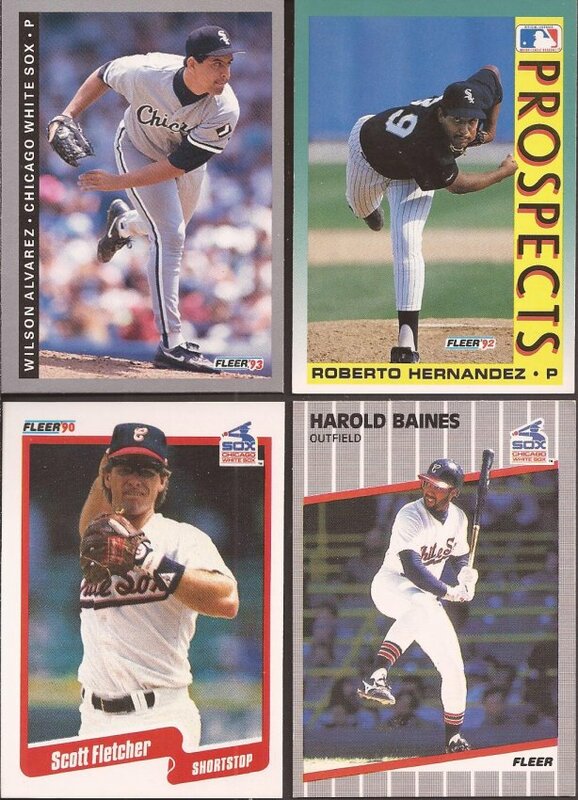 My Topps sets in the 90's are surprisingly filled with holes. I have not finished any Topps team set in the 90's, but I am getting closer with Adam's help. 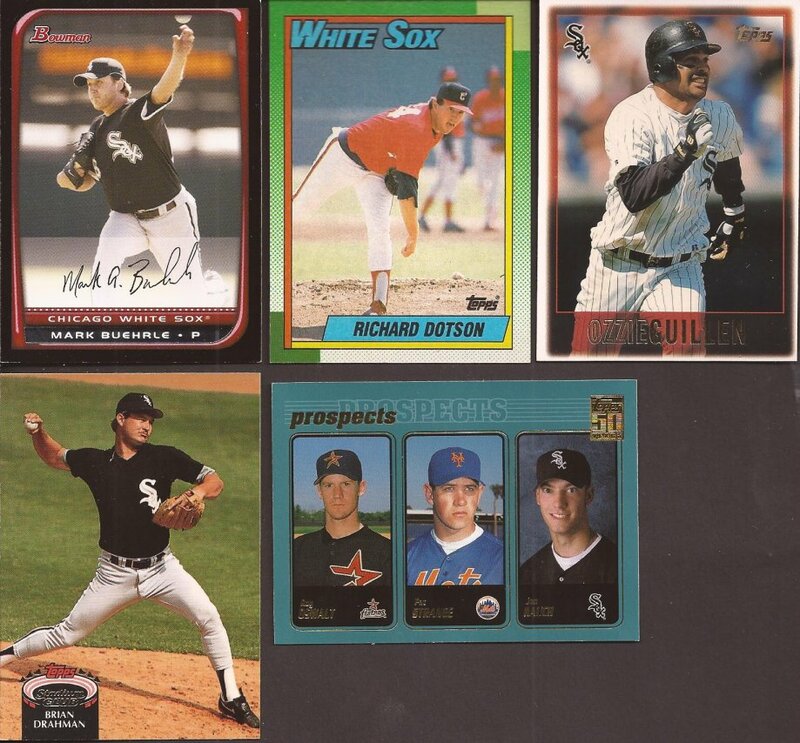 I don't have want lists for Fleer sets, but in Adam's mailing, 14 cards were needed for numerous sets. Is it me, or do Fleer's designs always look dated? I mean, sure, they are. But even shortly after release, they felt old and uninspired. Who could need these over produced cards, right? How about 6 of them. I think, though the sets on the middle and right are complete. 1994? Not so much. I'm not sure if it's being lucky or unfortunate that I only needed 4 of the cards for the Score sets. I'm certain I have barely scratched the '88 Score set. I'm not going to count, but I might have 8 cards in it. I look at it this way: if I have them all, I wouldn't be a collector. I would be a "haver". And depending on what it is, a "haver" is no fun. Watch it or you won't have me. Upper Deck clocked in with 10 new cards. 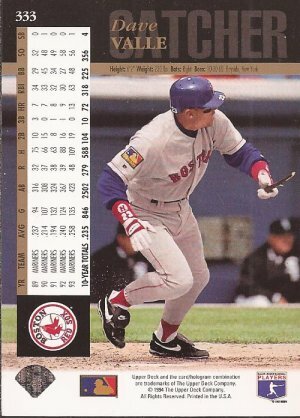 And it was UD where I added more newer items, putting cards in the dividers behind years 2000 and higher. Last up is Leaf, with Adam's box containing 7 cards that I needed, including that why isn't he in the Hall Of Fame card of Rock Raines. I can argue about a few people, but I think the consensus is that Raines has gotten the shaft to this point in getting the call from Cooperstown. The issue is that the 2015 ballot is so crowded, he will probably miss it again. And that's sad. Especially when you read something like this: Tim Raines reached base more times in his career than Tony Gwynn. First-ballot, 97.6%-of-the-vote Tony Gwynn. 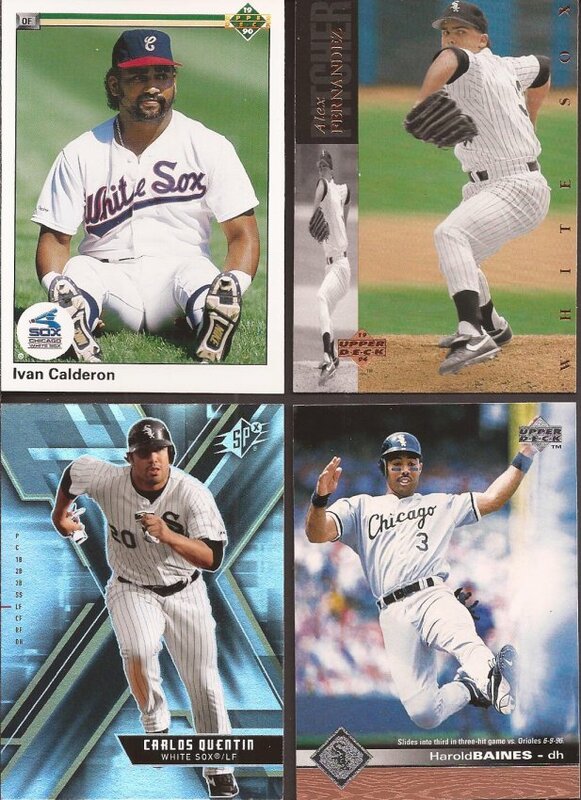 Now, all the cards that didn't make the Sox box weren't just dupes. I was able to find a place for 20 of them in my White Sox frankenset, and I am getting well enough through it that I built a needs list to make it easier for me on future mailings on whether the card hits the frankenset or the dupe box. Also, Adam sent along 13 cards of players bunting, but all were dupes. Bummer. Adam also included a '94 UD of catcher Dave Valle that has a cameo of a Sox player on it. I think, though, he included it for the back. Broken bat. YES! Adam, I thank you for the load of cardboard. I'm hoping when I finally get a return package out to you I can have at least an equal number of new cardboard for your collection. Though, from your amazing blog, you are quite the haver. I just had to replace the video card in my desktop because it kept fighting with Windows 10. Such is life. 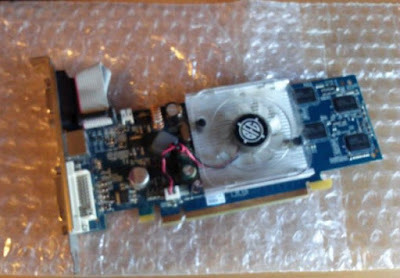 I wish I had your computer skills, because I had to take my tower in to do the video card switch out. He and I were on pretty similar wavelengths. The box I sent was pretty much along those same lines, as I recall. Great cards! My hard drive went kaput this summer. It was so that nothing could be recovered. My only guess was that a power surge did it in. Let's do a box break.